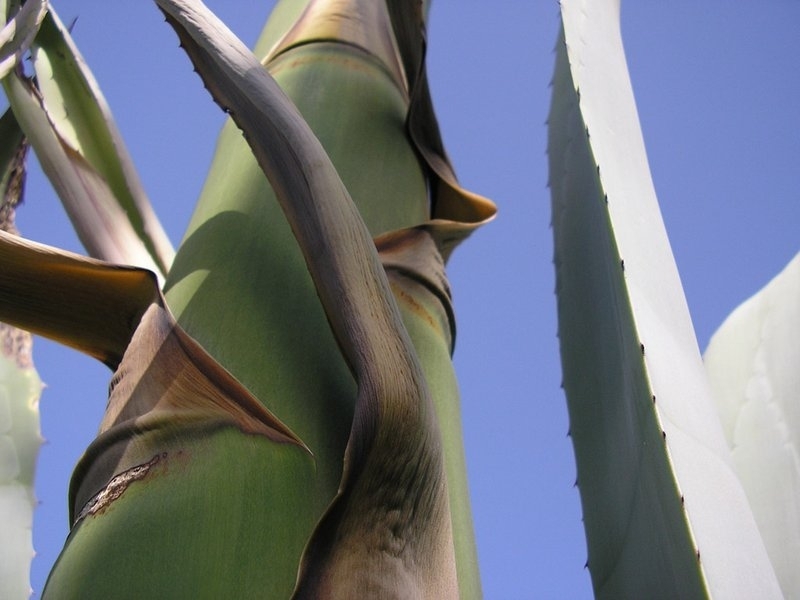 The family Agavaceae (Pita or Maguey) has its origins in Mexico. 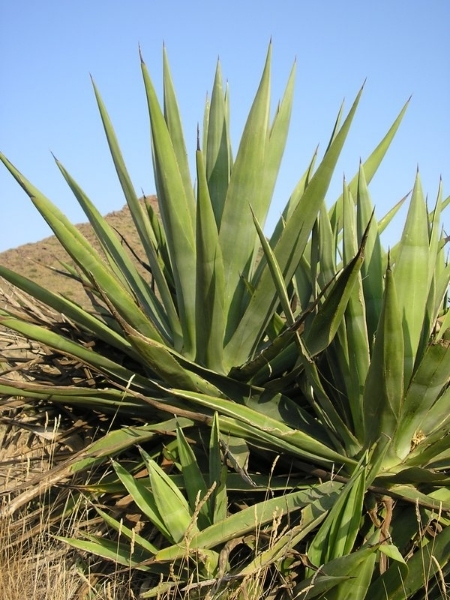 It is a succulent plant which is mostly known for its fibre (Sisal) and alcoholic spirit (Tequila). 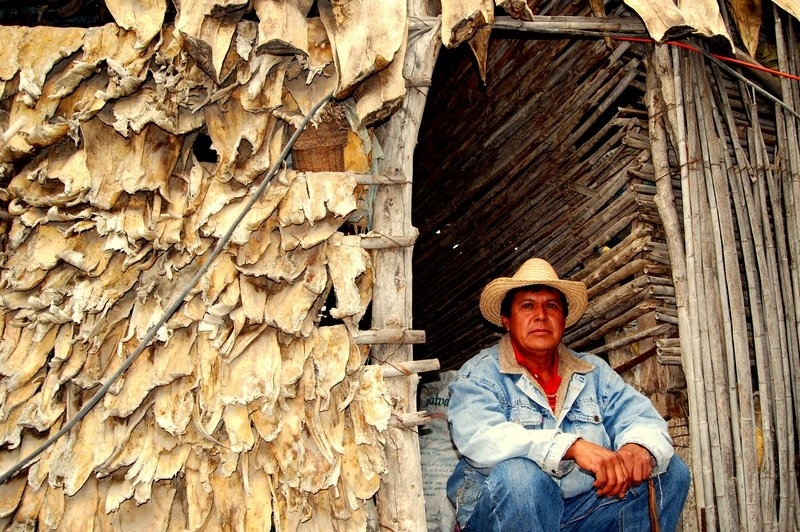 Its first usage dates back to the time of the Mayans, when indigenous communities found in this wonderful plant a source of raw material for hundreds of products which have been produced and improved throughout history. In the 16th century, Spanish conquistadors brought back different varieties of agave from the Americas to Spain. 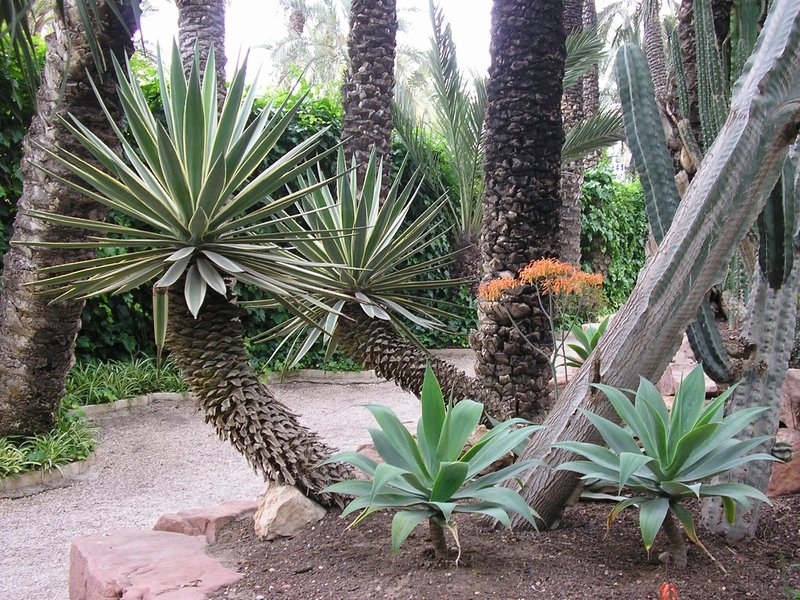 These plants have flourished, especially along the Mediterranean coast. 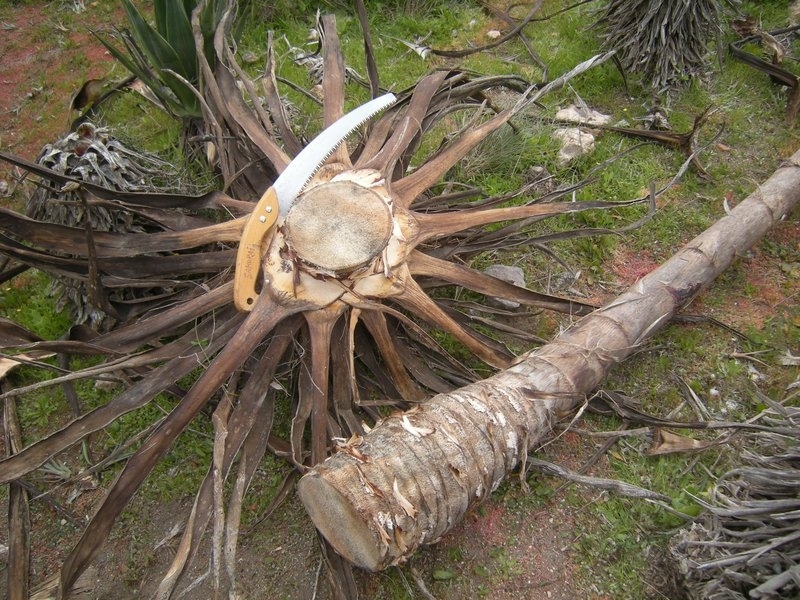 The 19th century saw the worldwide exploitation of the agave, which originated from the Yucatan in Mexico, taking the form of the extraction of the fibre. 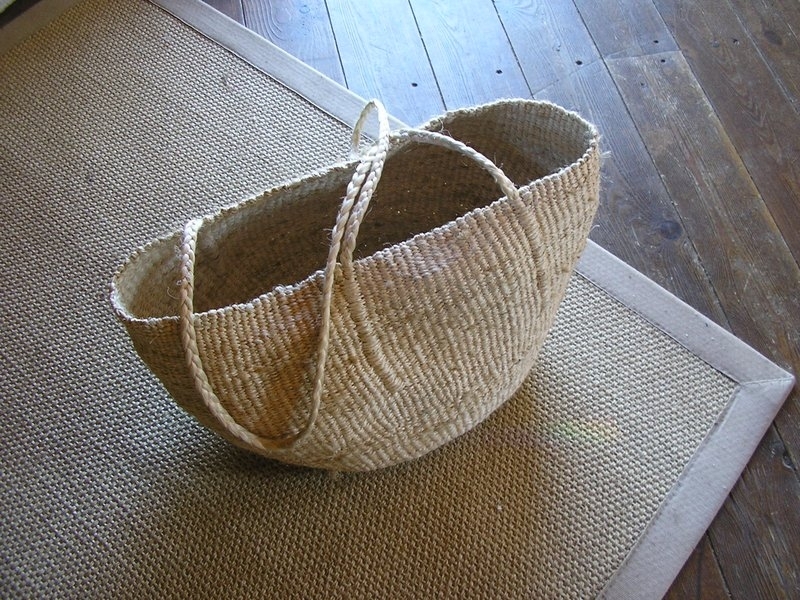 The years 1870 to 1930 were known as “The Sisal Boom” years. 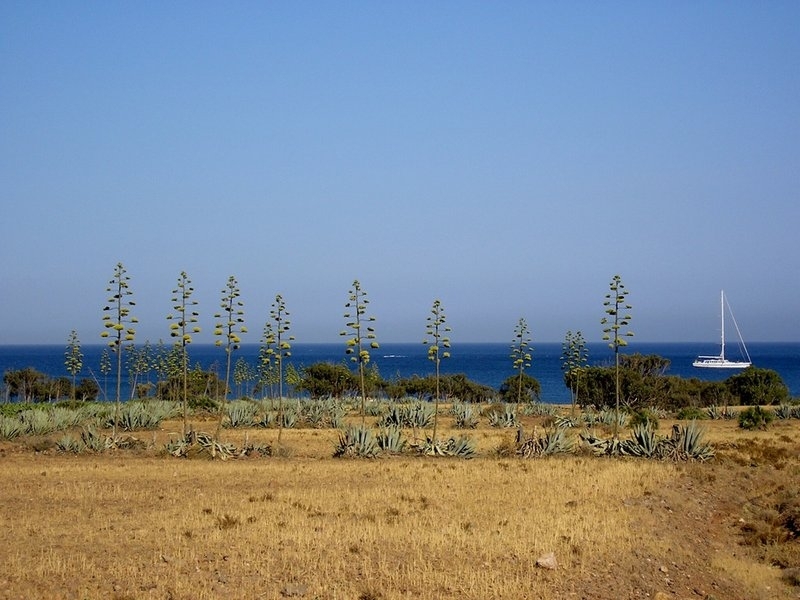 In many countries where water is a limited resource, the agave has become an essential tool of work, promoting economic development in those areas and significantly increasing the quality of life for millions of families. 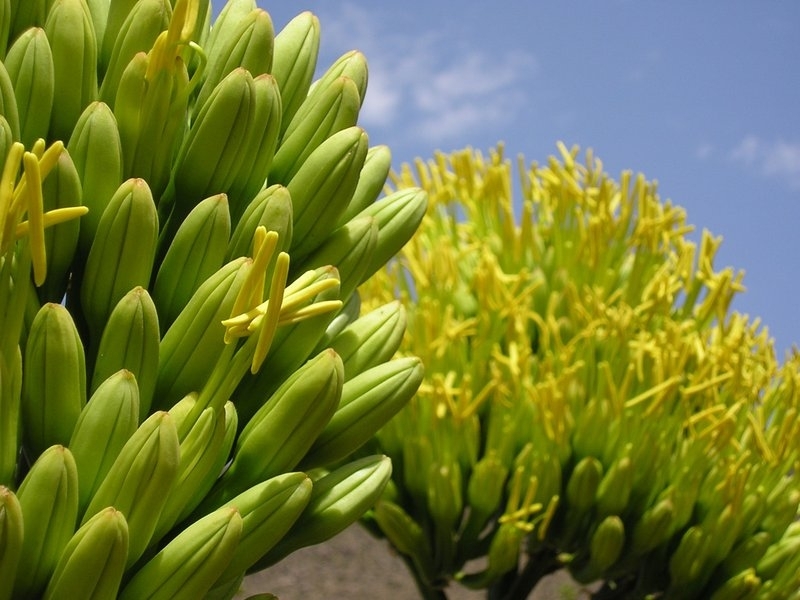 Renewable energies, organic plastics, sugars, biofuels and car accessories are some examples of new ways in which the agave is being used. 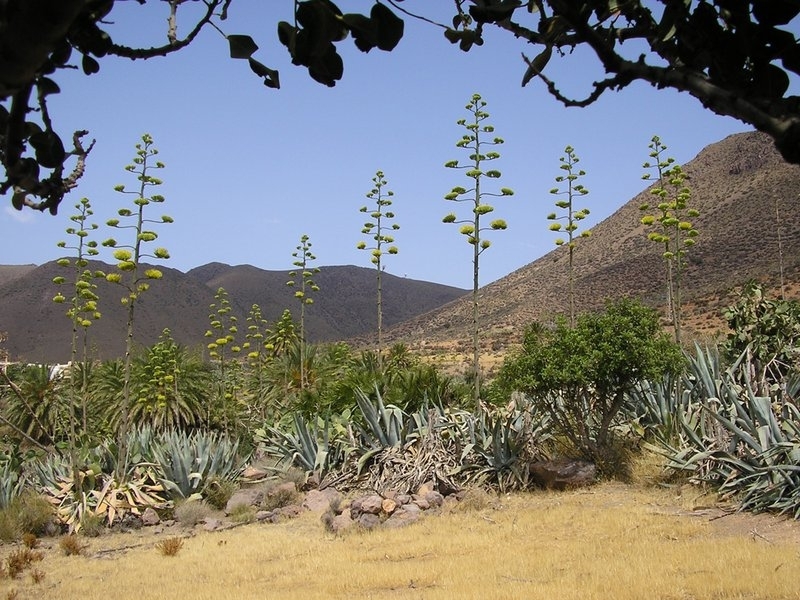 The agave has a place in future enlightened “sustainable” economies. 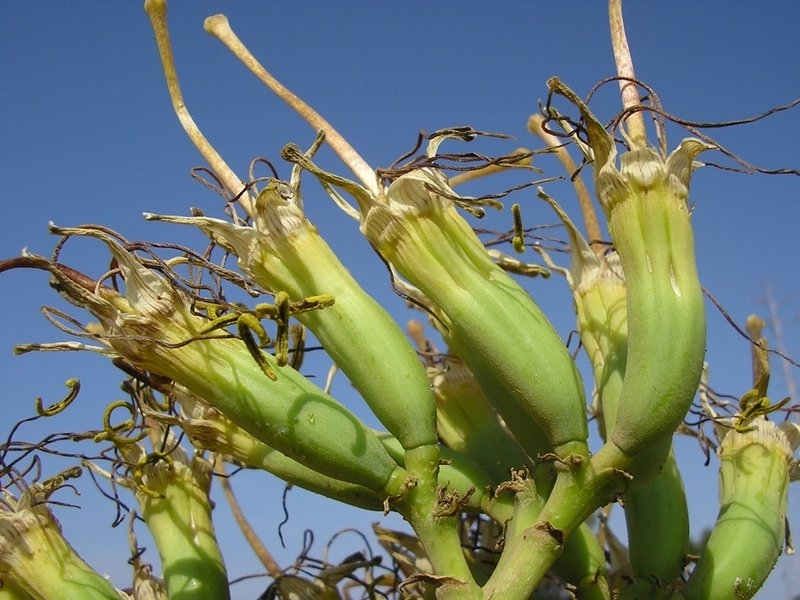 It can produce high yields, can grow on arid and semi-arid land, and does not compete with conventional crops for food production. 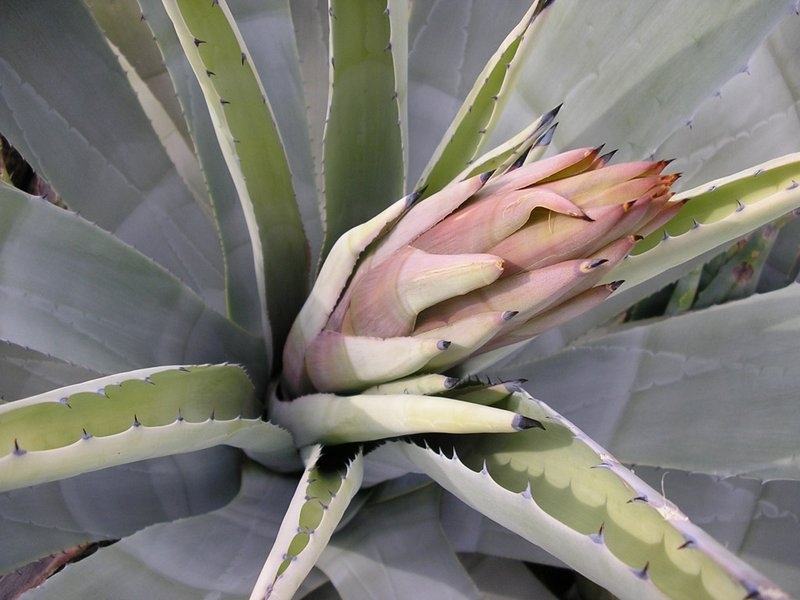 This makes the agave a most promising 21st century crop. The variety of products and by-products made from this plant is awakening an increasing interest worldwide, initiating the creation of sustainable jobs in dry lands all over the planet. 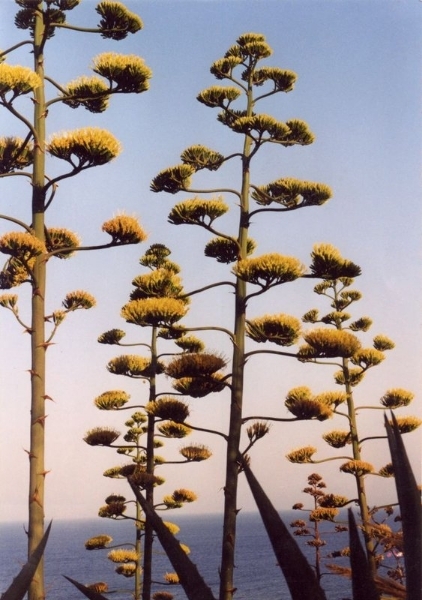 The name ‘agave’ comes from the Greek word ‘agavos’, which means noble or illustrious. 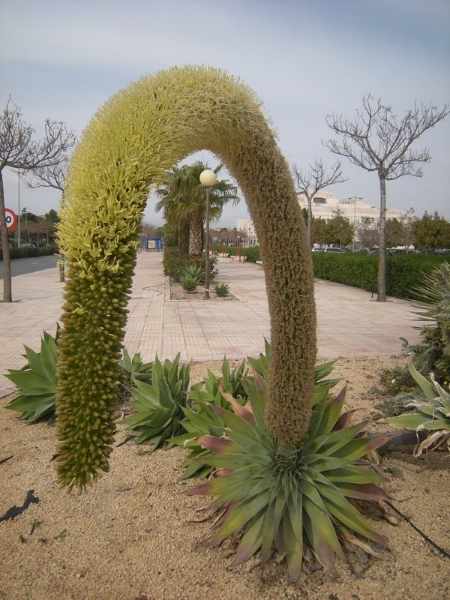 This is the botanic name of the ‘century plant’, commonly known as ‘pita’ or ‘zábila’ in Almería (Spain). Throughout history, countless different names were coined for this ‘plant of the thousand wonders’, e.g., ‘maguey’ (in Mexico), ‘atzavara’ (in Catalunya), ‘sabra’ (in Morocco), ‘k’atscha’ (in Ethiopia), ‘sisal’ (in Kenya), and ‘fui cheng’ (in China). 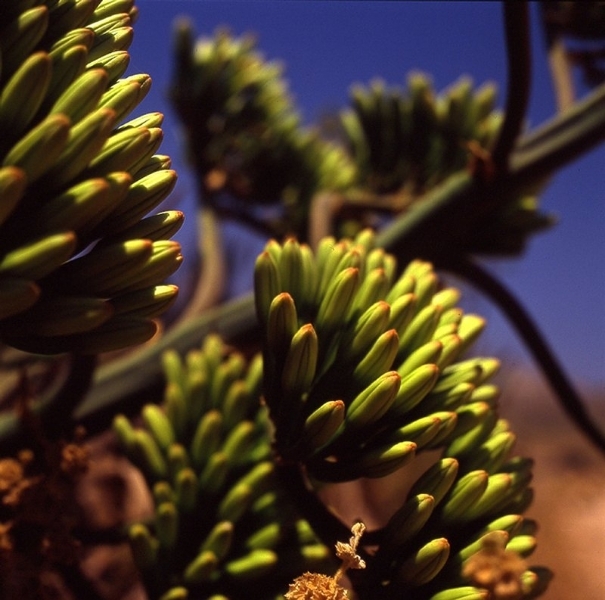 The agave or pita (or maguey in Mexico) originates from Mexico and makes its home in regions with low rainfall. After thousands of years of evolution, it is perfectly adapted to survive in dry regions, where water and nutrients are scarce. 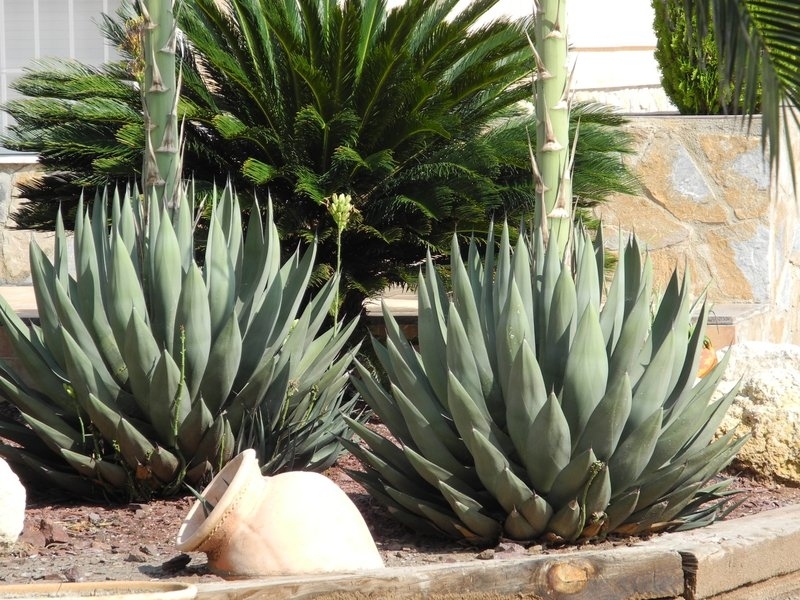 Agave plants require well-drained soils and are very resistant to drought and high temperatures, and can withstand frost – if it is not frequent – down to 27 ºC below zero. There are about 300 different species of these succulent plants, which are characterized by the formation of large rosettes of thick, fleshy leaves. The roots tend to be long to capture as much water as possible. All that water is stored in the leaves as an energy reserve for the blossom. 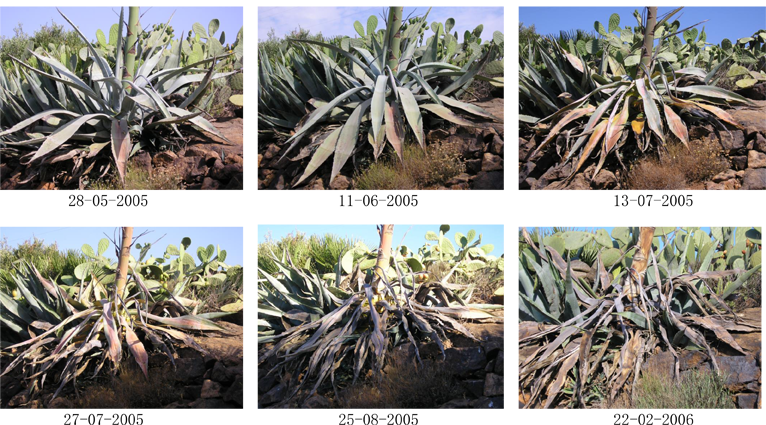 In the plant kingdom, agaves are the most efficient producers of biomass in water deficient conditions. 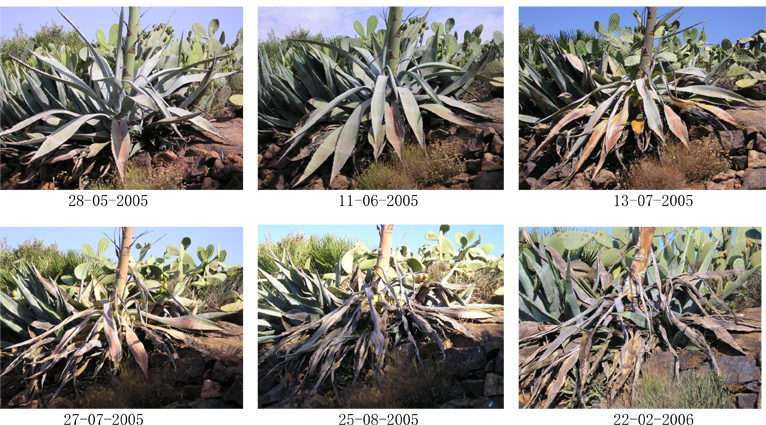 Agaves have different strategies for reproduction: they actively reproduce asexually from the rhizomes of abundant leaves as well as sprouting from seeds and bulbs. 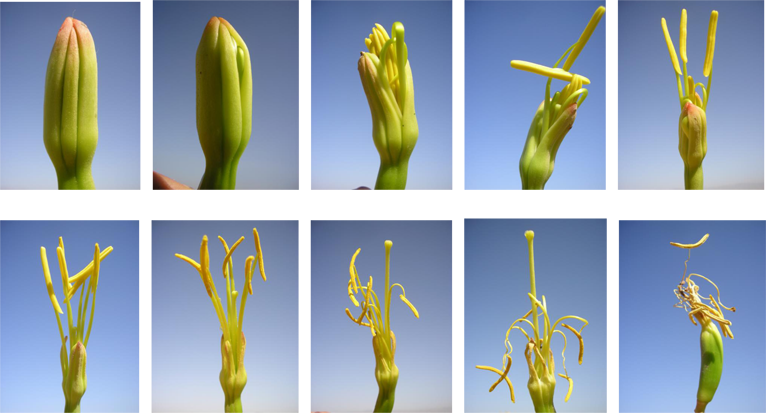 The inflorescence is a true spectacle: the flower stem grows up to 1.5m per week, reaching from 1.8m to 12m in height. 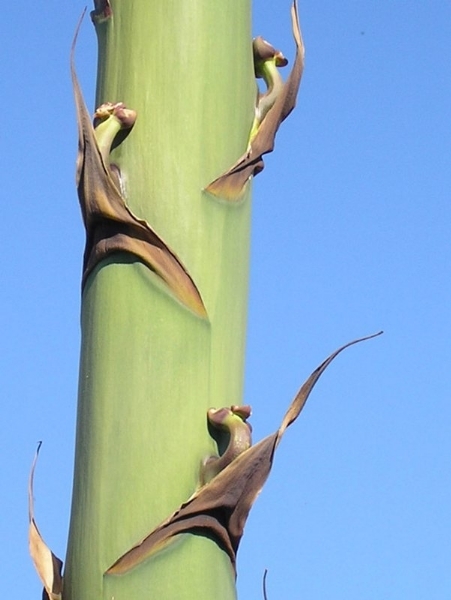 The stem starts to sprout when the plant has reached the age of between 7 and 30 years. 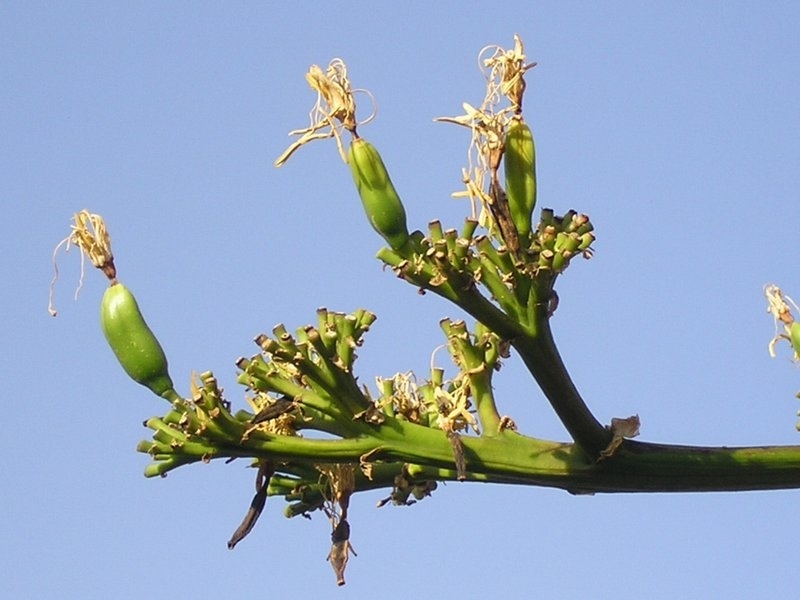 The fruit appears in the form of capsules with numerous flattened black seeds. 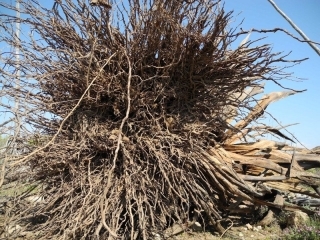 The rosette, which caused the growth of the floriferous stem, dies after the blossoming. I. 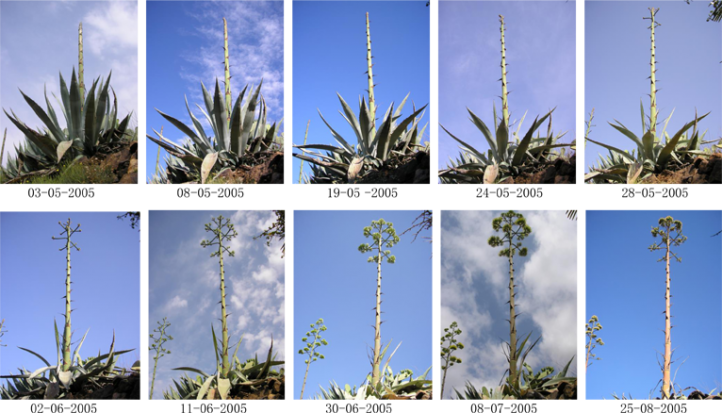 The Flowering and Dying Process of an Agave. 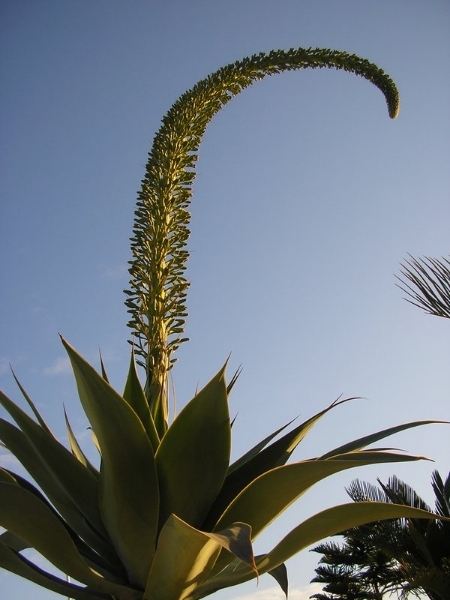 The Agave develops a flower stem after 7 years, and sometimes it takes more than 30 years. 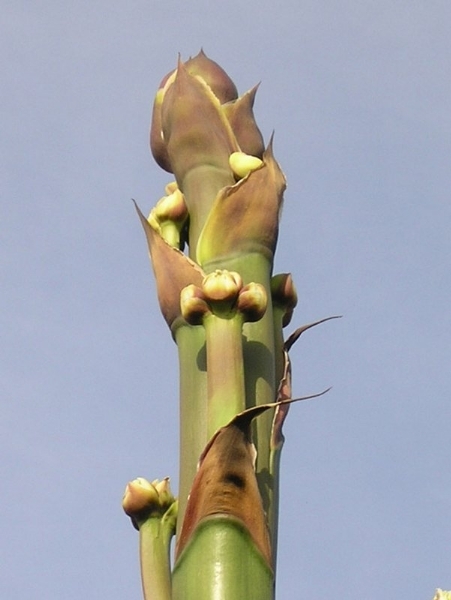 The flower stem resembles a giant Asparagus which can be, depending on the species, as high as 12 meters and can grow at a rate of up to 1.5 meters per week (14-20 cm a day!). 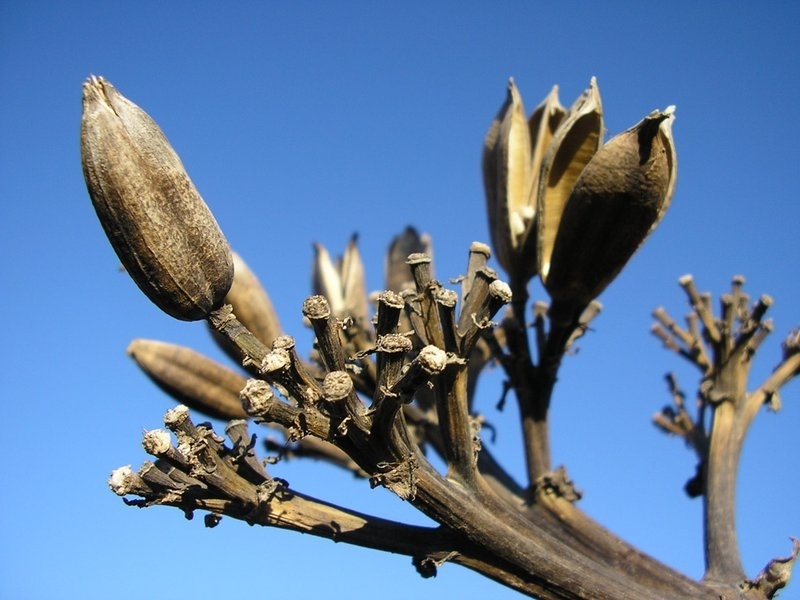 After blossoming, the flower dries out and forms a seed pod. The autumnal winds spread the seeds for reproduction and the rains of the winter help them to germinate. The kernel (known as Piña), which resembles a giant pineapple, is revealed by cutting away the leaves. The revealed kernel contains the highest quantity of sugar which is used for a great variety of bio-products, now produced on an industrial scale. Examples of these products are bio ethanol, a number of drinks and Inulin. 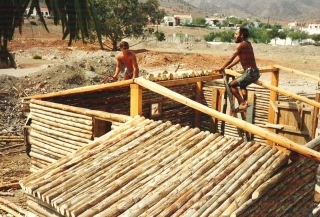 Aguamiel, translated into English as “honey water”, can be extracted from plants aged from 6 to 8 years. 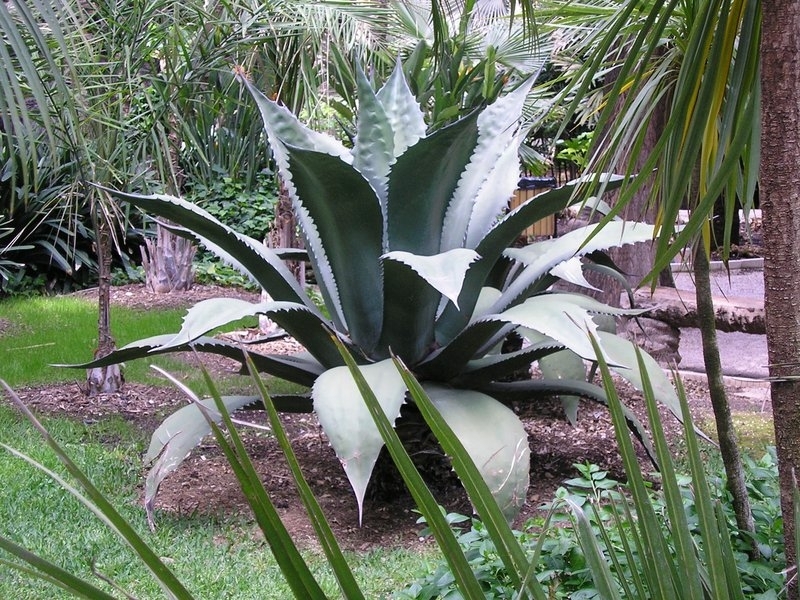 A big Agave can supply between 8 to 15 liters per day and up to 1000 liters per plant. This nutritive juice contains more calcium than cow milk and a total of 8 Minerals and 4 Vitamins. The extracted Aguamiel can be transformed into a healthy sweetener in the form of Syrup, which contains 70% fructose and 90% carbohydrates. Compared with the sugar obtained from cane or beetroot, it tastes 20% sweeter and can be used by diabetics. 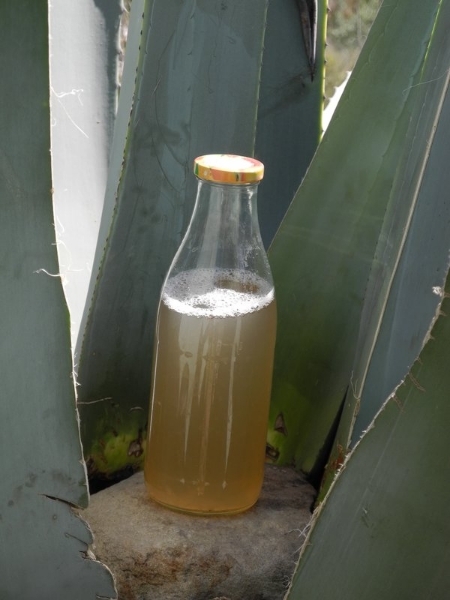 The Aguamiel can be fermented for a period of about 10 days after which a traditional Mexican drink named Pulque is produced. 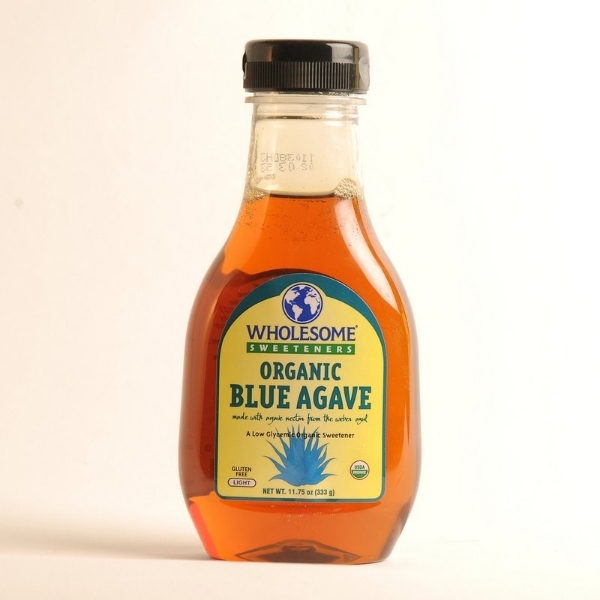 This fermented beverage is also known as Agave beer or Agave wine. Pulque has been brewed for at least 2000 years and has been used in ceremonies and rituals throughout the ages. 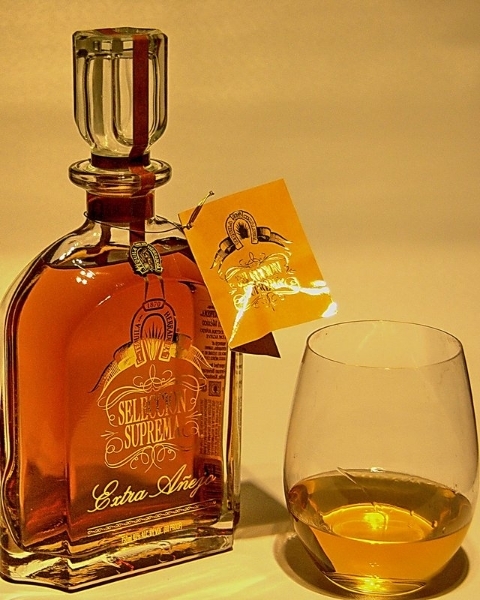 Tequila is the most famous alcoholic beverage produced from A.Tequilana and it is consumed all over the world. 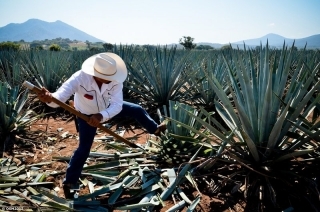 Mexico produces more than 200 million liters of Tequila per year and it is one of the biggest and most important economic export products of the country. 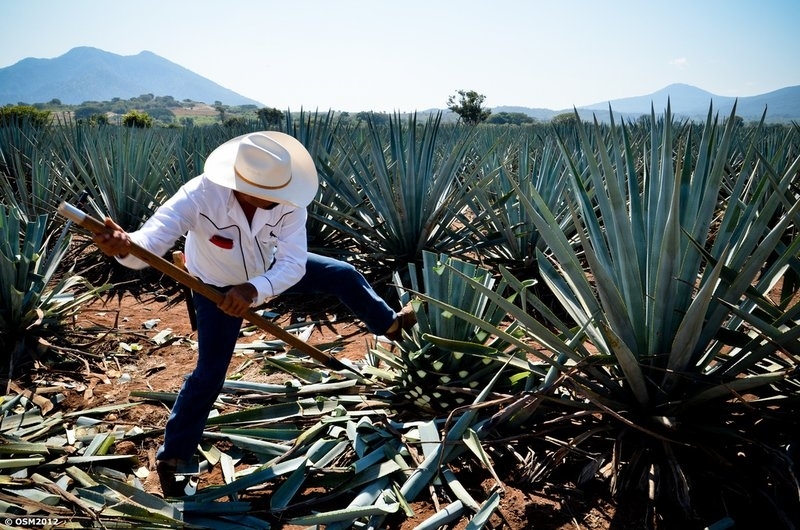 The purity is controlled by the “Consejo Regulador de Tequila” (CRT). International law states that other kinds of Tequila spirits can only be sold as “Tequila” if they contain at least 51% Agave. 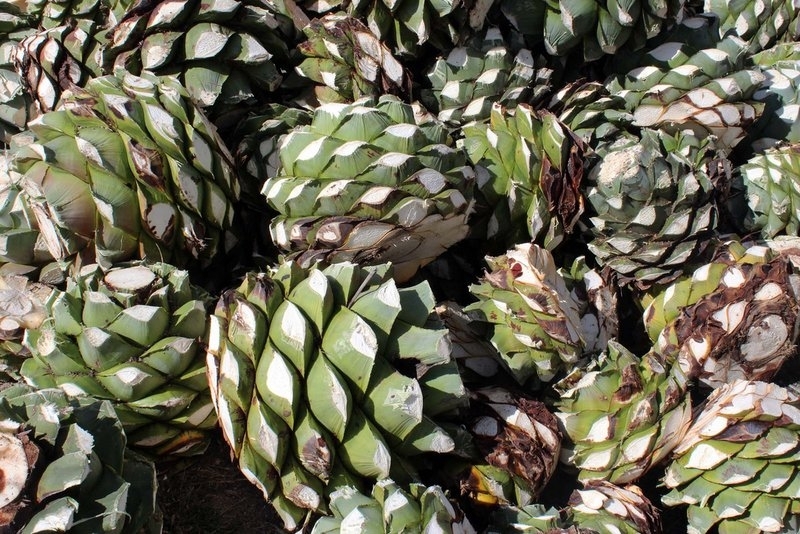 Another type of spirit obtained from the Piña is known as Mezcal. ☉ The Roots grow 30 – 40 cm deep into the soil enabling them to easily soak up available rainwater. 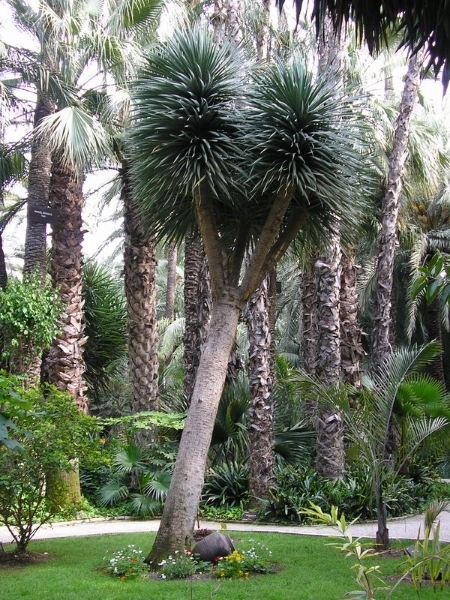 ☉ Big plants can have roots of 7 to 8 meters in diameter. ☉ When found on hill sides they help protect the land from erosion. 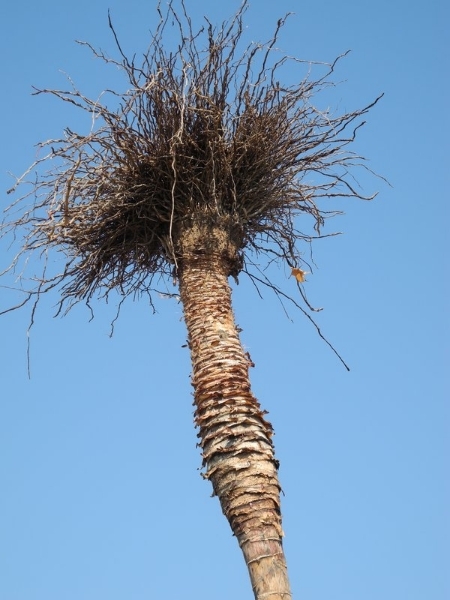 ☉ The roots are a fantastic source of Saponin and can be perfectly used to make soap or shampoo. 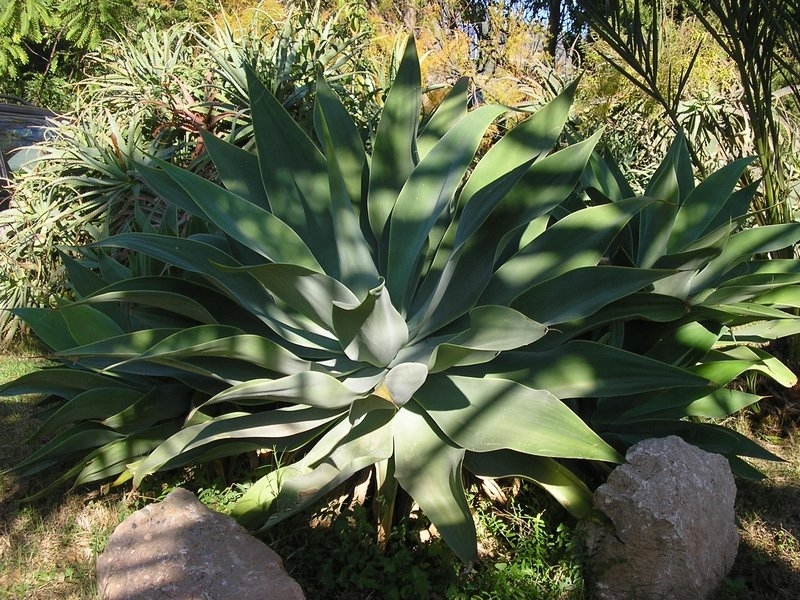 ☉ Agave plants have a large rosette of thick fleshy leaves, shaped to collect and carry water to the roots. The leaves are composed of 2% – 5% of fiber and 95% biomass. Generally, each leaf ends in a sharp point to defend their water. 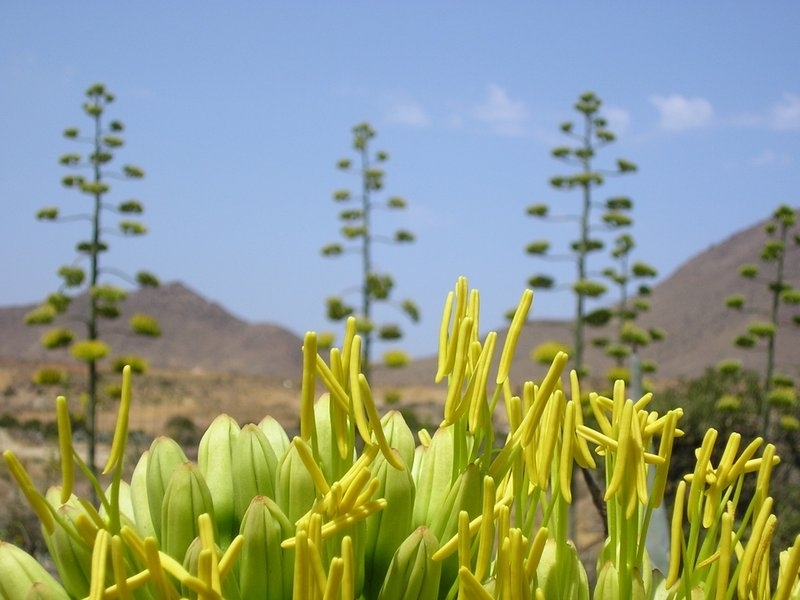 ☉ Under good conditions an Agave can grow up to 20 leaves per year. The average life span of a leaf is 10 – 15 years. Generally spoken, the leaves are glabrous and contain long fibers, which is an important character for them to be utilized for the production of natural fibers (Sisal, Henequén or Ixtle). ☉ The roasted leaves are used as tiles or to cover walls in bio-construction. ☉ The flowers produce abundant nectar which attracts its natural pollinators like birds, bats or insects. ☉ The Agave is a flowering plant which produces capsules at the end of the dry season to increase its reproductive possibilities. At maturity (beginning of the rainy season), the capsules split apart to release the seeds within. 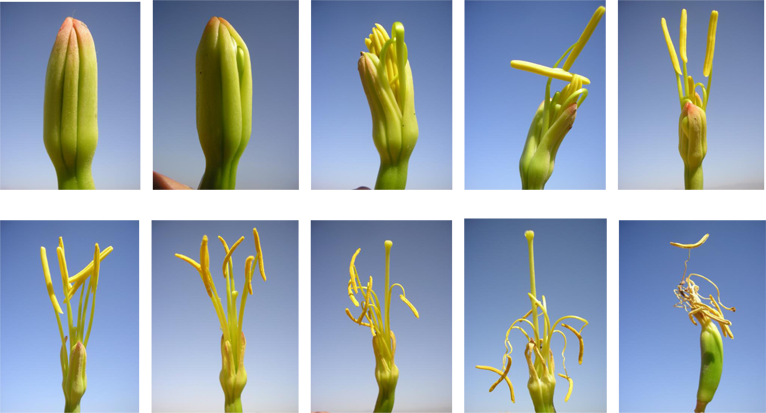 ☉ To secure the reproduction, some varieties reproduce themselves through inflorescence bulbils, which grow on the flower stem up to 12 meters above the ground. 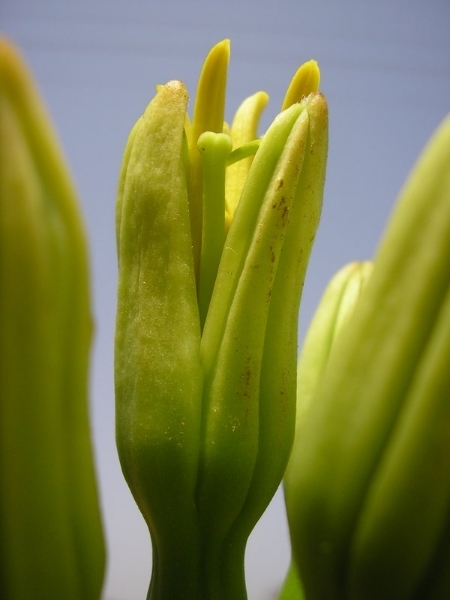 A single A.Sisalana mother plant produces between 1000 to 4000 bulbils to ensure a successful reproductive cycle. ☉ The flowers are good for food, prepared together with fried eggs. The fast growing wood is 100% sostainable. It’s a precious gift from the desert. 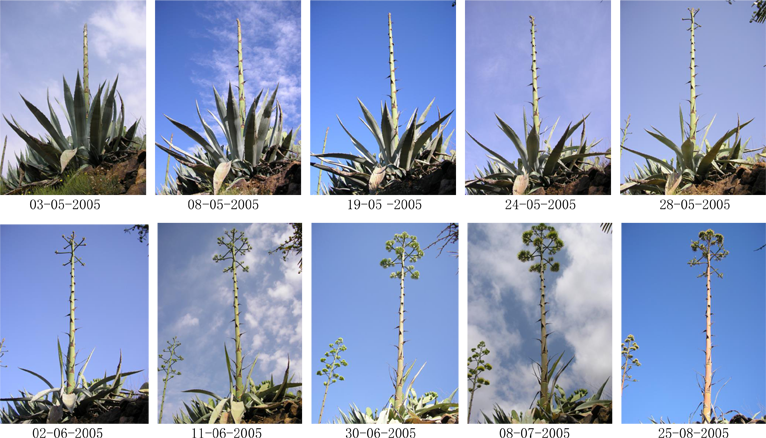 The lifecycle of the agave plant is completed after its time of flowering. 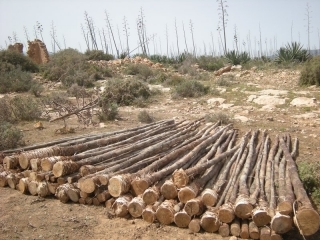 The wood is harvested only after the wind has spread the seeds and the plant has completely died. The stem grows approx. 1,5m per week(!!) 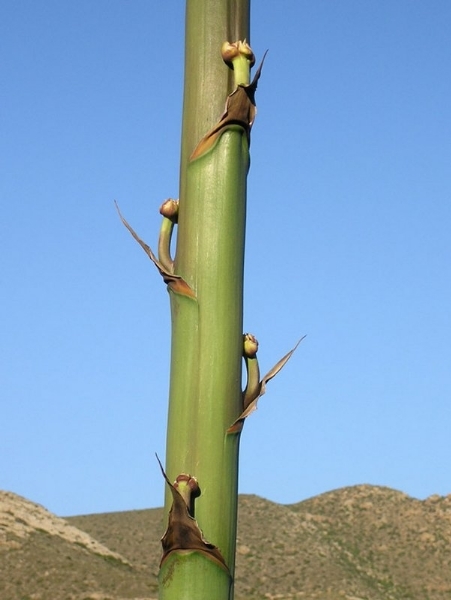 and up to 12m in height, and as a result of this rapid growth it develops a fibrous but sturdy material with a resistant outside shell similar to that found in bamboo, but with a core like balsa-wood. The wood is very light in weight, really easy to split and work with, and has an exotic appearance with a range of beautiful natural colors. Harvesting at the right time and proper storage conditions are particularly important for the quality of the wood. 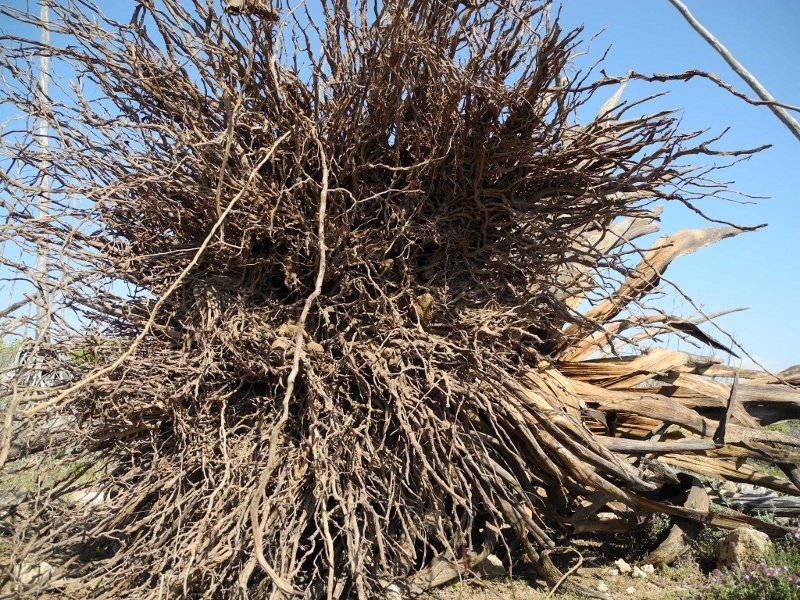 The dried flower stems are used for the creation of musical instruments and many other handcrafted items, as well as for profesional Surfboards, roof beams in house construction, scaffolding, stools and ladders. They can even be split and hollowed for use as irrigation line half-pipes for the transport of water. 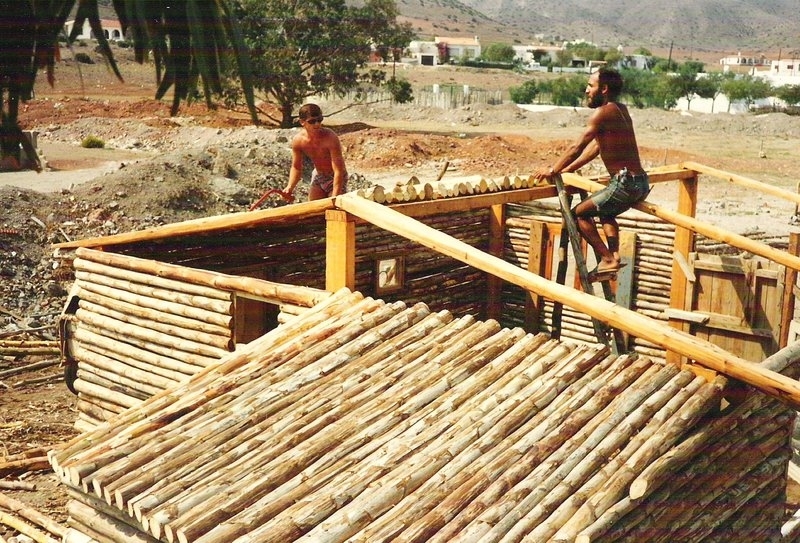 To use the wood, it can only be harvested on the death of the plant, which makes it a truly sustainable resource from the desert. 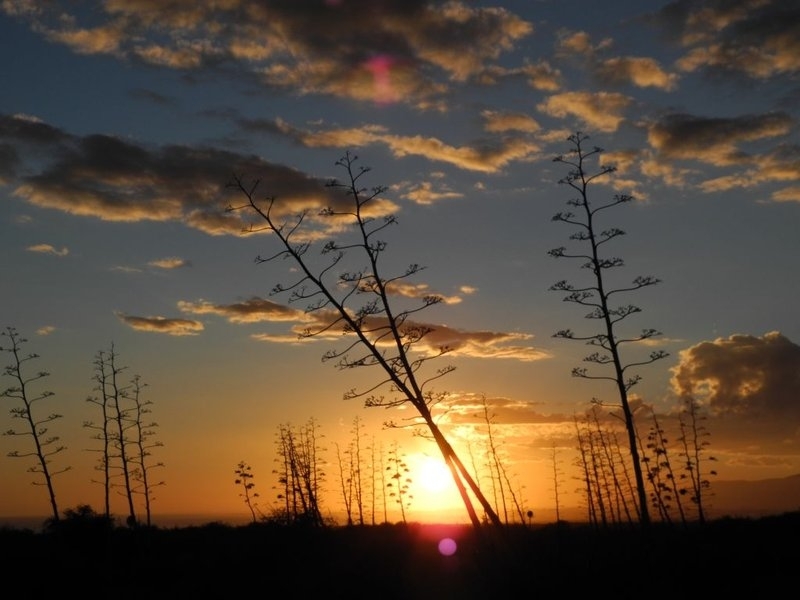 While deforestation and the destruction of ancient forests continues, seemingly without end, the Agave wood is at least a small contribution on a way out of the worldwide environmental crisis that becomes more evident every day. 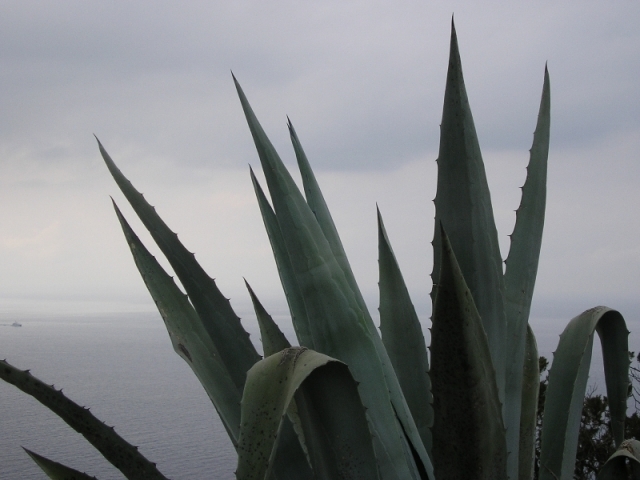 Humans have benefitted from the use of agave since pre-history. It has been particularly important in Mexican indigenous cultures, and also in many other parts of the world. 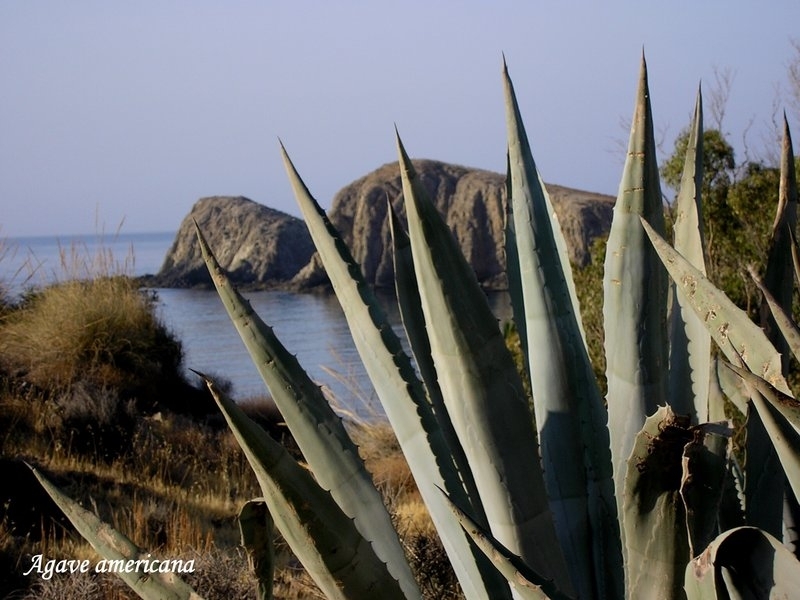 Many products have been created from agaves in the previous 10.000 years. The plant is among the highest in yields of biomass per unit, even higher than cultivated sugar cane plants in the tropical regions of Brazil. 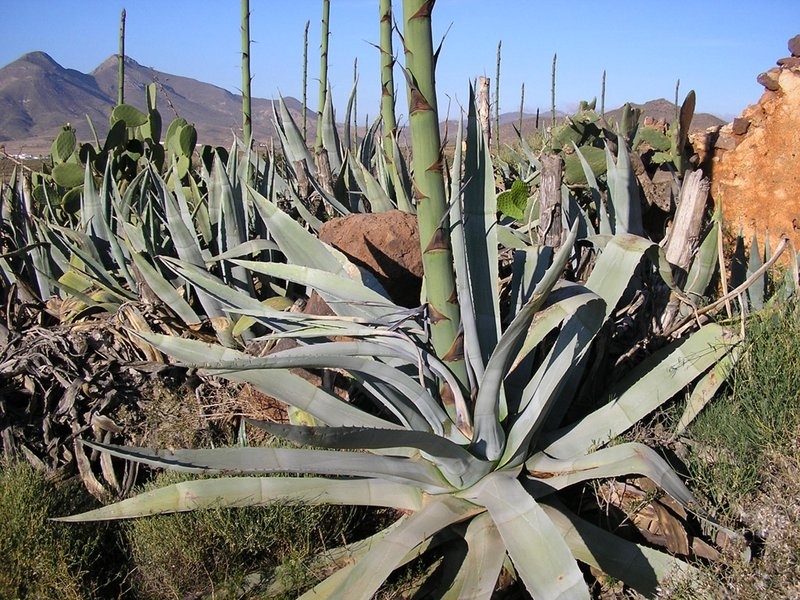 The agave is a source of biofuel, biogas and bio-alcohol and also offers a broad variety of side products with increasing industrial potential for the world markets. 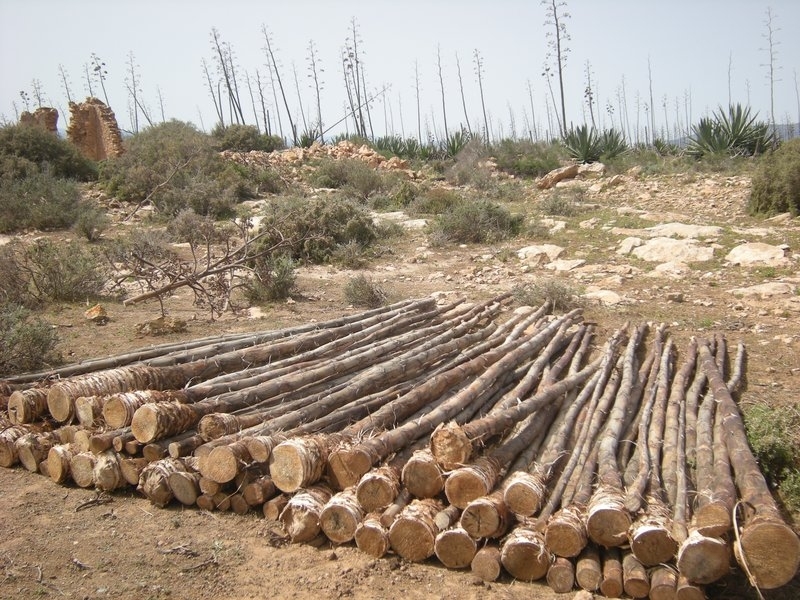 In this time of climate change and demand for sustainable alternatives to industrial processes, the agave has many environmental, economic, and social benefits which are very important for arid and semi-arid regions of the planet where the majority of the world’s poorest people live. 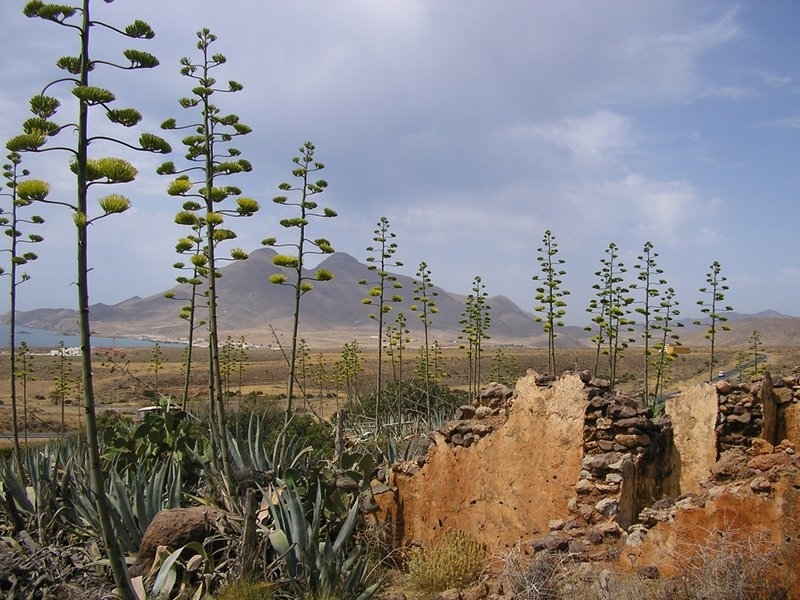 Cultivation of agave in these zones has the potential of transforming lives. 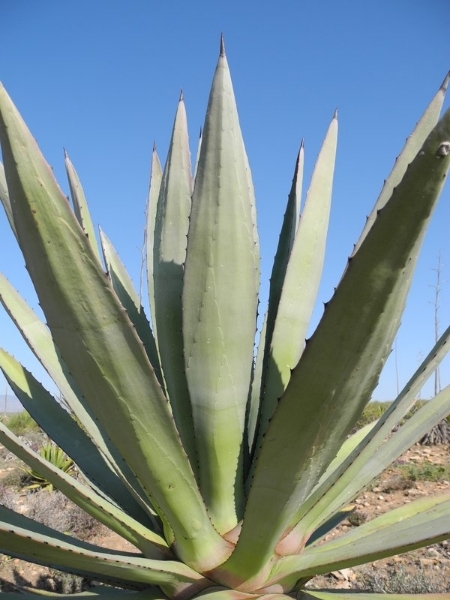 Scientific researchers inform us that the agave produces up to three times more sugar than sugar cane grown in Brazil, four times more cellulose than the fastest growing eucalyptus tree, and it captures five times more CO2 than the world’s best carbon capturing ecosystems. When properly maintained, it requires irrigation only three to four times per year. 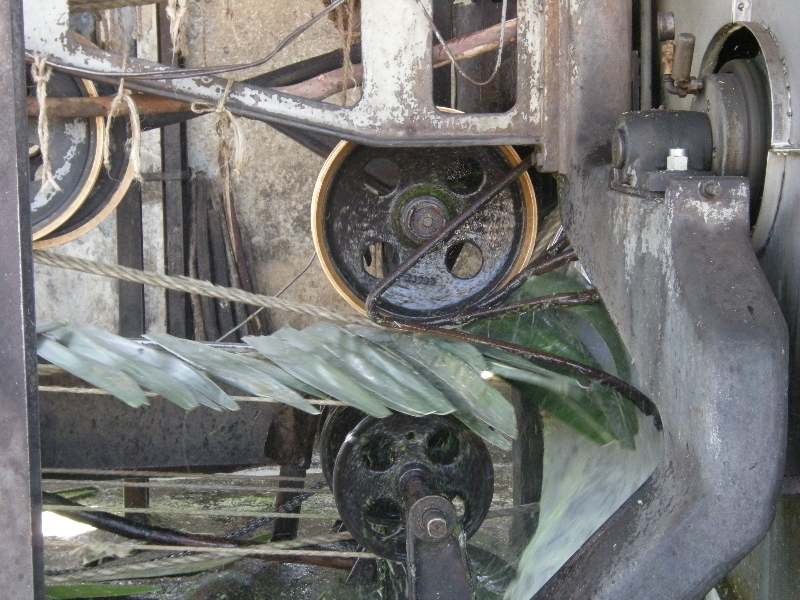 The by-products after the processing of the agave takes the form of bio-degradable organic matter which can be used as “compost” or as organic material to be returned to the land. In this way, they enhance soil fertility. This is truly a “no waste” plant. 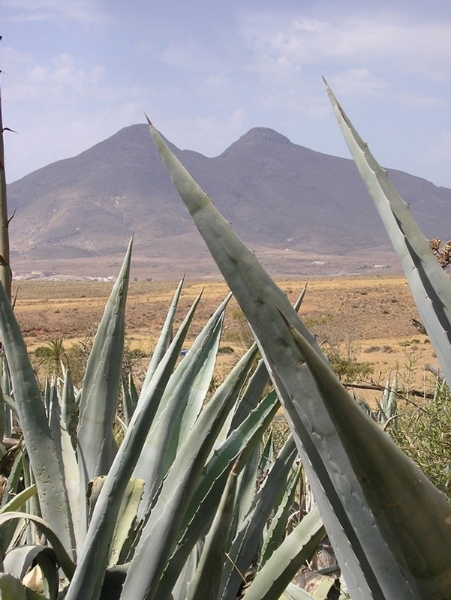 Industrial production facilities for dozens of bio-products made from the agave have been set up in more than 20 countries worldwide. 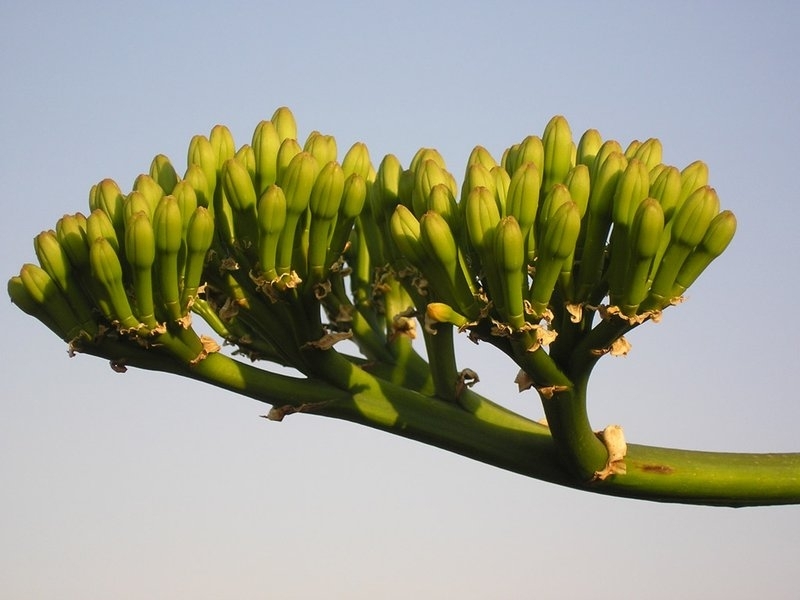 Tanzania has a Ministry of Agave with more than two and a half million people working with the plant in the country. 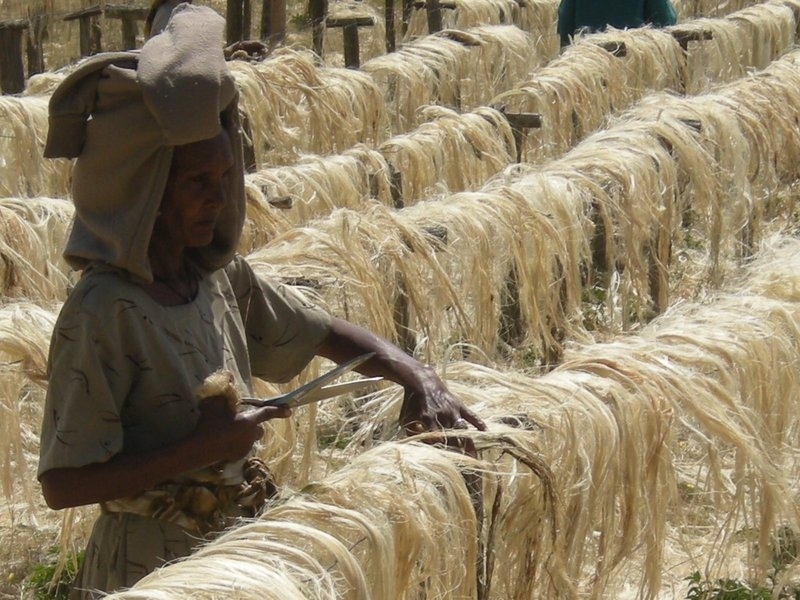 Tanzanian experts promote its usage as a life insurance plant for farmers. Everything can be used, and the monthly harvest has not failed in the last 100 years! 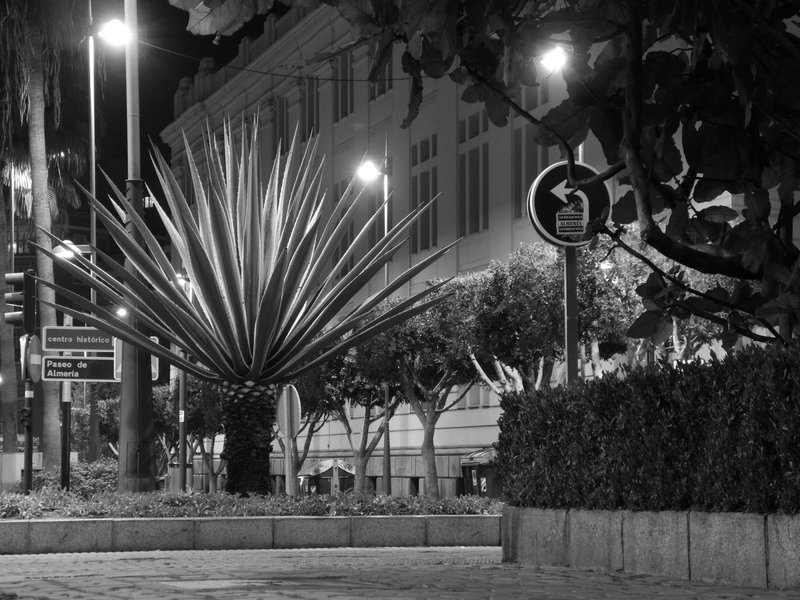 Brazil has six hundred thousand people working with the agave and is the world’s leader in the production of its fibre known as Sisal. China grows ten thousand hectares for bio-plastics, Australia grows forty thousand hectares for the production of bio-fuels and South Africa manufactures door insulation and accessories for Daimler Chrysler. 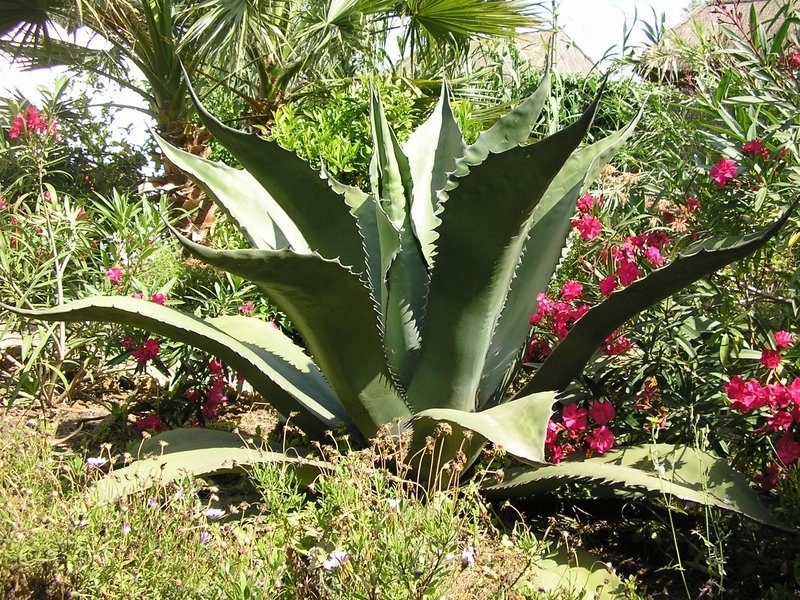 We at the Pita-Escuela have specialized in the integral usage of agave for more than twenty years. We offer a large repository of scientific information and documentation to teach and spread our knowledge. We can show you different techniques and procedures for the elaboration of various end products made from agave. Our online bookshelf contains a variety of scientific studies, reports and articles from many different projects related to the agave plant and its usage worldwide. Please get in touch with us so that we can share this interesting and useful material! looks very promising, although tequila connoisseurs may not be cheering. 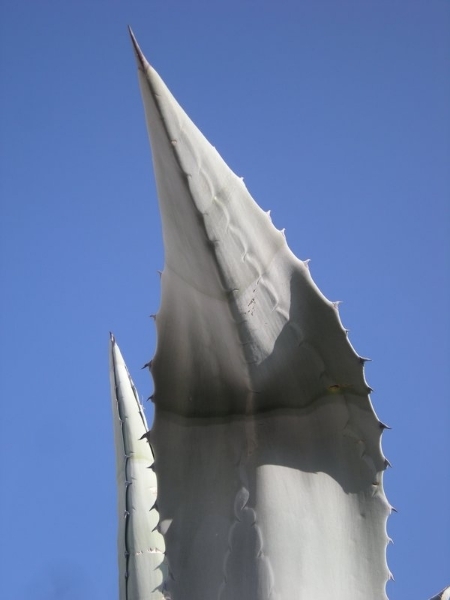 Abstract Agave is a succulent genus within the monocot family Agavaceae. 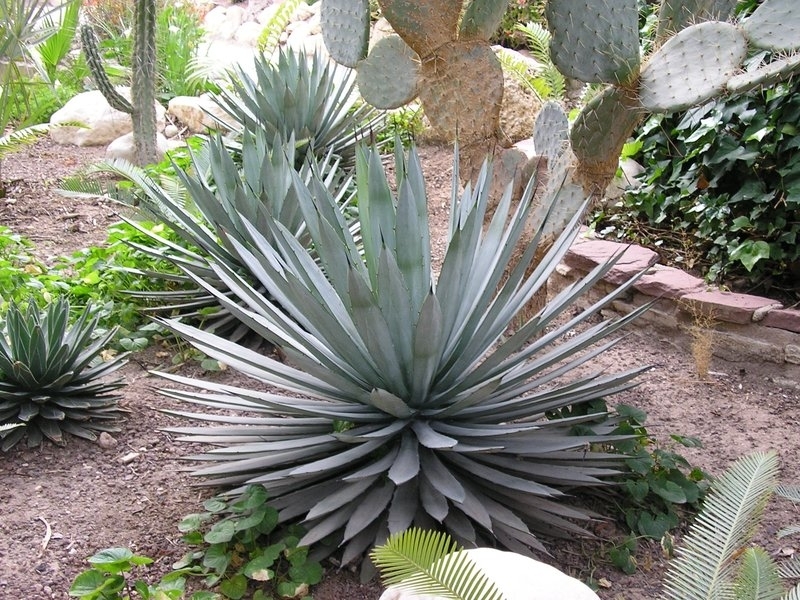 The plants have a large rosette of thick fleshy leaves, each ending generally in a sharp point, and are native to arid and semi-arid regions from the southern USA to northern South America. 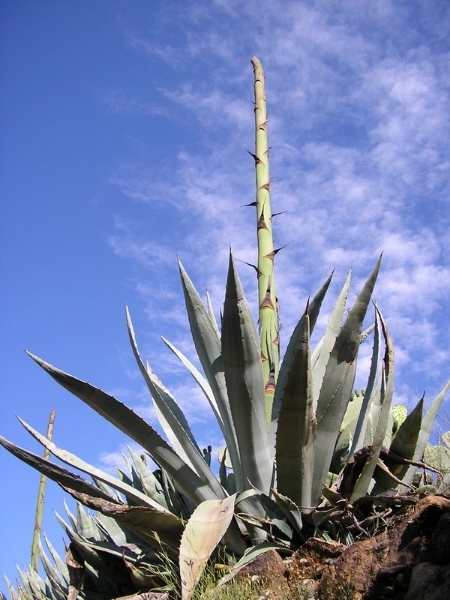 The most important commercial species is Agave tequilana grown for production of tequila. 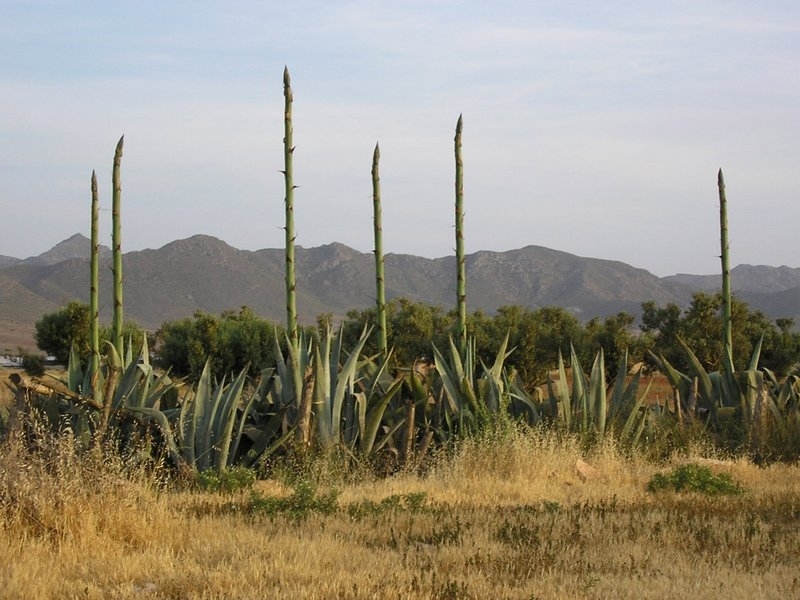 Several cultivated species of Agave such as Agave sislana and Agave salmiana can perform well in areas where rainfall is insufficient for the cultivation of many C3 and C4 crops. 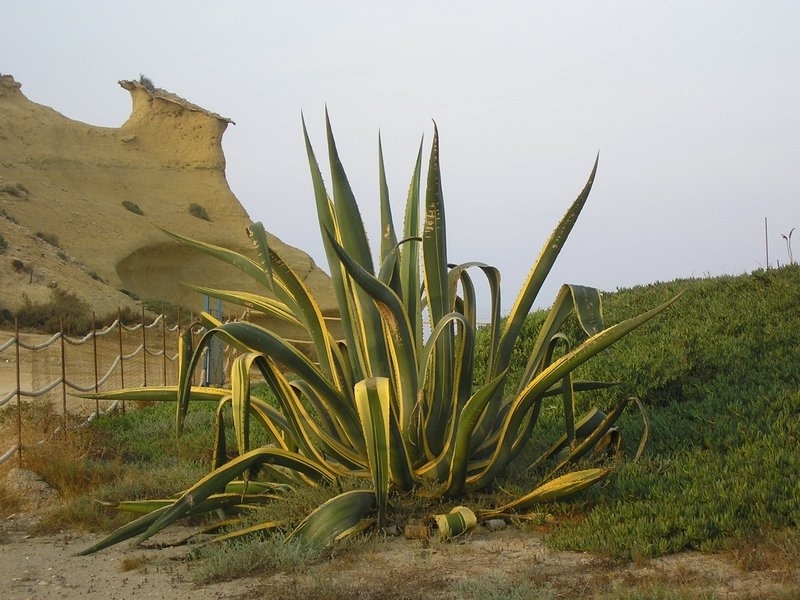 The key feature of the crassulacean acid metabolism photosynthetic pathway used by agaves is the stomata opening and CO2 uptake during the night, thus allowing less water to be lost by transpiration. 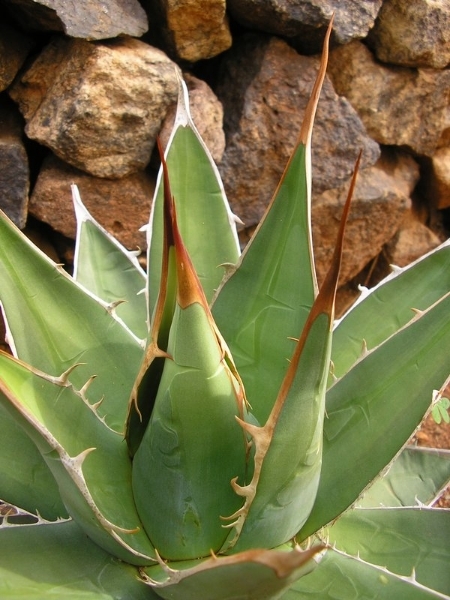 Alcoholic beverages, sweeteners, fibers, and some specialty chemicals are currently the main products coming from agave plants. 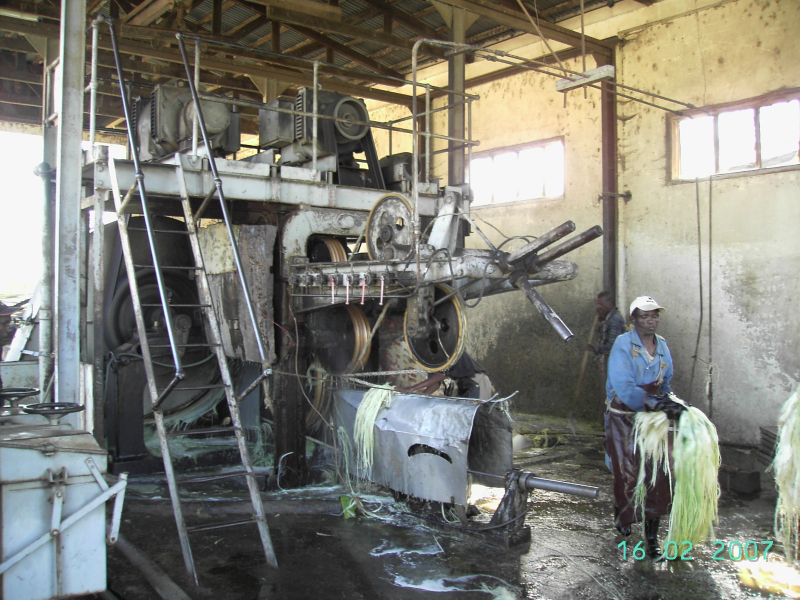 The recovered information related to productivity, biofuel processability, by-products, etc. 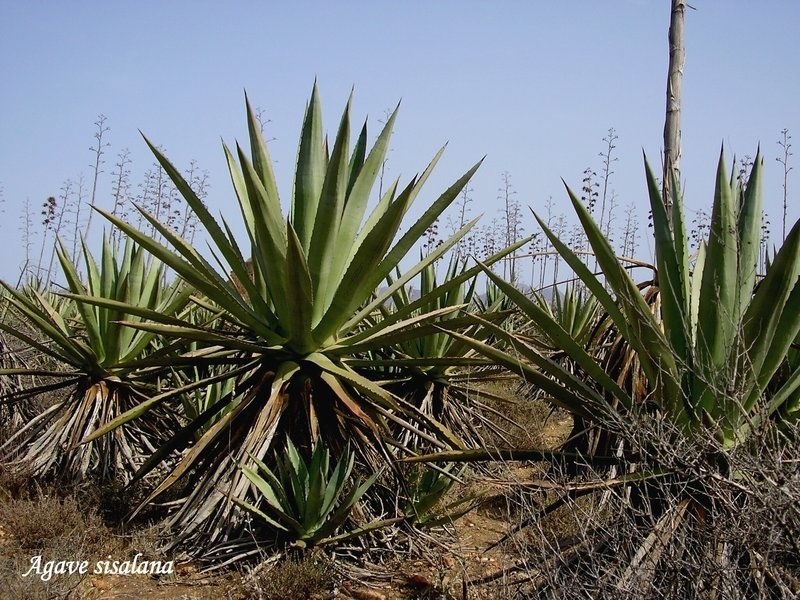 suggests that some Agave species have a real potential to compete economically with other bioenergy crops. 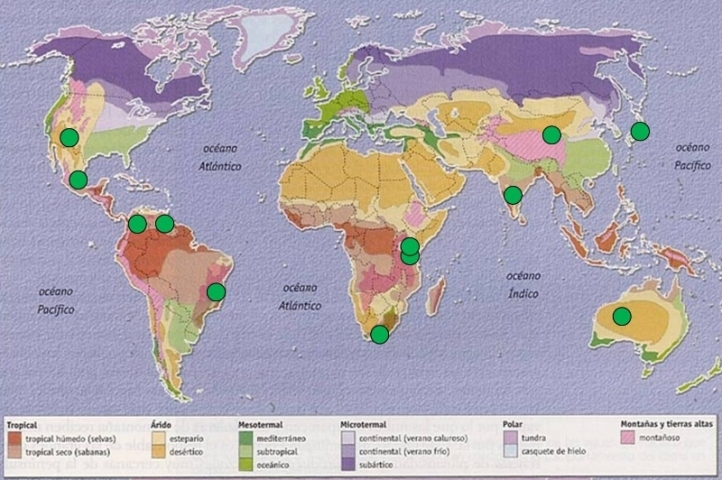 But more than compete, it could complement the list of bioenergy crops due to its capacity to grow with very little rainfall and/or inputs and still reach good amount of biomass, so unused semi-arid land could be productive. 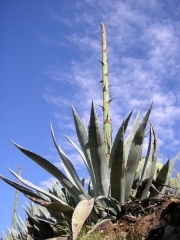 Although Agave has great potential to be developed as a bioenergy crop, more laboratory and field research are needed.